If you’ve noticed Coveteur looking extra glitzy over the past few days, you’re not imagining things. 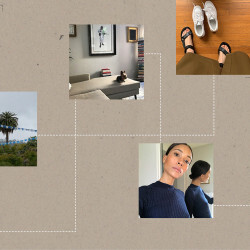 It’s Diamond Week, aka one of our favorite weeks of the year, and we’ve been talking jewelry designers, antique baubles, and diamond pieces at every price point you should definitely gift yourself. Looking at all of these jewels called to mind the bling-y accessories we want for ourselves—from the understated to the over-the-top. Here’s all 18 of them. 1. Amrapali 18-Karat Gold, Silver, Emerald and Diamond Earrings: In my personal ranking of precious gems, emeralds are neck and neck with diamonds, making these beauties my dream earrings. They may scream black tie, but if I were to own them, you best believe I’d wear them everywhere from the bodega to the office—how could I not? 2. Carlos Udozzo 42 Emeralds Necklace: I’m not sure what happened after I saw this necklace for the first time, because I momentarily passed out. It’s a timeless design that also feels very modern, which I love. Pardon me while I go purchase a lotto ticket. 3. Nikos Koulis Black Gold Ring with White Diamonds and Rubies: I’ve been a fan of all things Nikos Koulis for a while, and I’m especially taken with his Classic Moments collection. 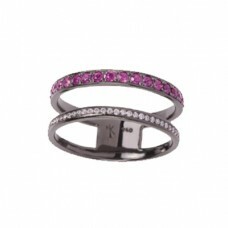 Diamonds and rubies are an obvious draw, though it’s the black gold that really makes this ring pop. 1. 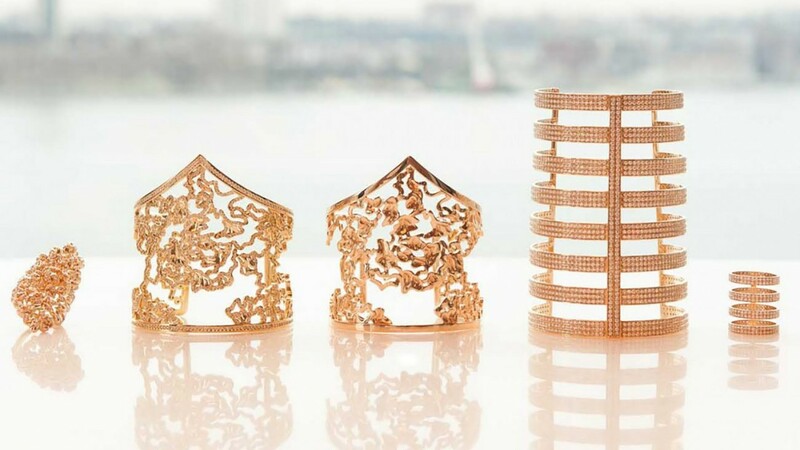 J.Hannah Venn Ring with Pavé: If you’re looking for the epitome of delicate, *cool*-girl jewelry, may I direct your attention to absolutely everything in designer Jess Hannah’s collection. I already rock her Oval Pinky Signet (custom-monogrammed, of course) on the daily, and I think this subtle pavé stunner would fit next to it quite nicely. 2. KATKIM Floating Baguette Ear Pin: For those who are even minutely adept at social media stalking, you’ve definitely seen these incredible ear pins all over Instagram lately. They’re made-to-order from KATKIM, my latest fine jewelry obsession, and the floating baguette version is absolutely to die for. Baddass and bling-y—my favorite. 3. 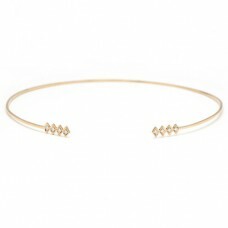 Azlee Single Burst Choker 18k Yellow Gold + Diamonds: Baylee Zwart is the genius behind art-deco dream label Azlee, and I could easily drop paycheck after paycheck on her designs. I’ve been craving a sparkly new necklace to pair with my Vale Bead Chain Choker, and I can’t click Add to Cart fast enough on this one. Are you listening, boyfriend? 1. Rihanna Loves Chopard Diamond Earrings: No, it’s not simply because Rihanna’s name is attached to these earrings that I love them. I genuinely think they're perfect, even without her endorsement. I’m not one for a ton of bling in my ear and often favor mismatched earrings, and these babies fit both categories perfectly. 2. 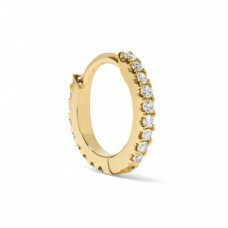 Suzanne Kalan 18-Karat White Gold Diamond Ring: I’m never not searching for new rings to purchase. More specifically, rings covered in diamonds. I can see this one fitting in with my collection quite nicely. 3. 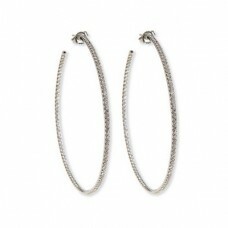 Roberto Coin Micro Diamond Hoop Earrings: You’ll be hard-pressed to find a day where I am not wearing hoop earrings. My collection of them comes in all different shapes and sizes, but I have yet to add to it large hoops encrusted with a million little diamonds. There’s no other way to put this: I *need* these in my life. 1. Temple St. Clair Large Pod Diamond & 18K Gold Earrings: Temple St. Clair is one of the most imaginative forces in fine jewelry, and at a recent press preview, I saw a pendant version of this design all done up in moonstones. In a dream world, I’d gift my mom the moonstone pendant and a gold necklace, and keep these earrings for myself. 2. 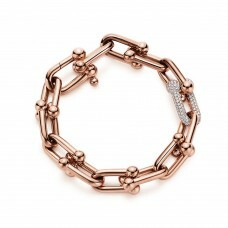 Tiffany Hardware Link Bracelet: I love Tiffany’s Hardware collection, but I love it even more with diamonds. 3. 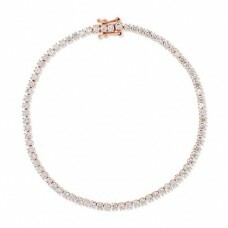 Anita Ko Hepburn 18K Rose Gold Diamond Bracelet: I’ve always wanted a diamond line bracelet, and if I won the lottery tomorrow, this is probably the one I’d buy. 1. 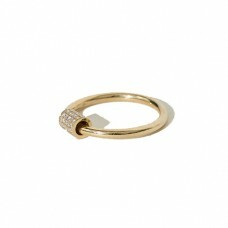 Anna Sheffield Marquise Bea Halo Ring: People always ask me when I’m getting engaged, and while I really hate that question, I do think about it. A lot. (No shame!) This Anna Sheffield ring is my exact style. 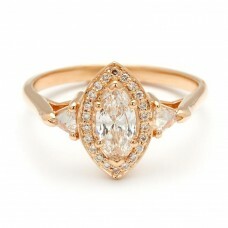 I love a marquise—classic, simple, feminine. SIGH. 2. 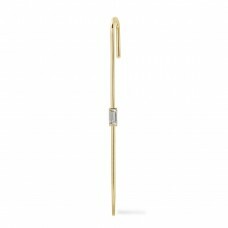 Maria Tash 18-Karat Gold Diamond Earring: I’ve been looking for a pair of everyday earrings, and while I tend to gravitate toward studs, these baby hoops are pretty sweet and seem like something I’d never take off! 3. Jennifer Meyer J Initial Pendant: As a huge Taylor Swift fan, I’ve had “Call It What You Want” stuck in my head since the day I heard it. And when Sarah Hyland referenced some lyrics on Instagram (from the verse “I want to wear his initial on a chain round my neck / chain round my neck / Not because he owns me / But because he really knows me”) in a photo of her pendant necklace, I realized I needed one as well! 1. The Last Line Pave Beaded Safety Pin Earring: Over the past few months I’ve added two piercings to my ears, and not only are there more to come, but I’m trying to make the existing ones as shiny as possible. L.A.-based jewelry brand The Last Line has given me about a hundred new reasons to keep getting new piercings—I want everything they make. With surprising charms and colors (hello, rainbow diamonds!!! 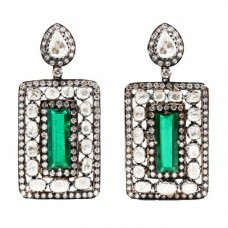 ), every earring looks unlike anything I’ve ever seen. I think my first purchase has to be this Safety Pin. Next up? Definitely this Ying Yang Hoop Earring Charm. 2. 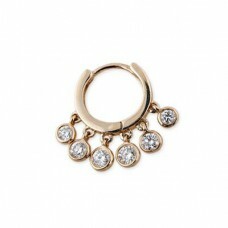 Jacquie Aichie Mini Shaker Hoop: My last piercing was this Jacquie Diamond Marquise Drop Stud, and it’s practically screaming for a companion. I have a feeling this mini Shaker Hoop would be the perfect fit. 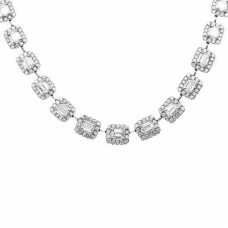 Is anything better than diamonds dangling next to one another? 3. 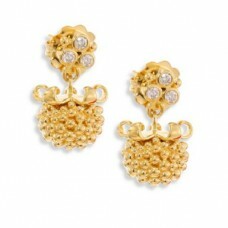 Amrapali Zardozi 18-karat gold diamond earrings: No ear party would be complete with just tiny diamond studs, correct? 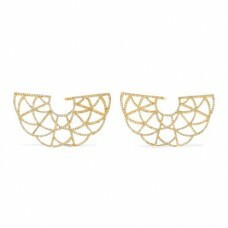 I definitely need these statement earrings too, right?! They are practically a spiderweb of glam, and I have never been into something more.